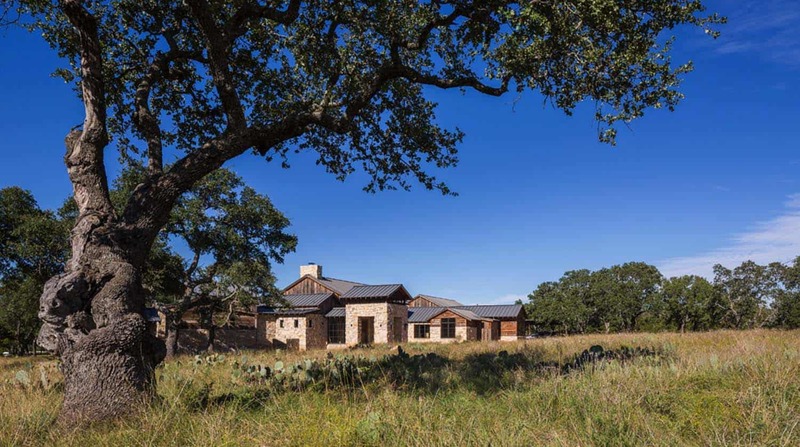 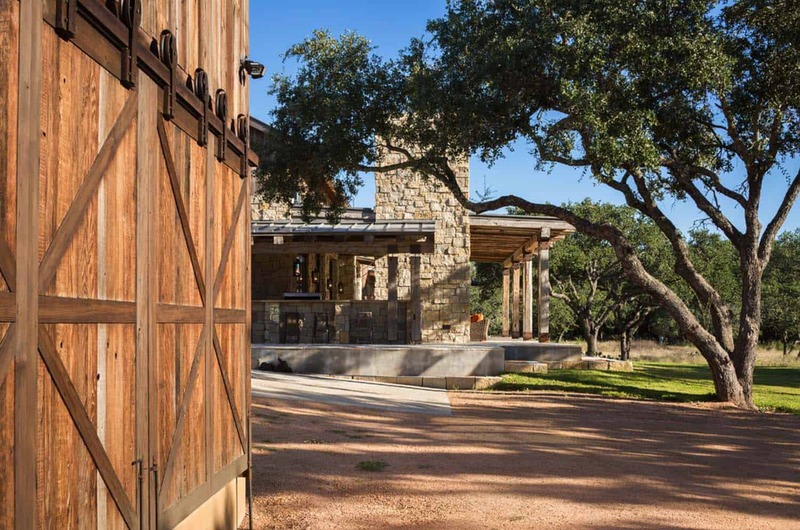 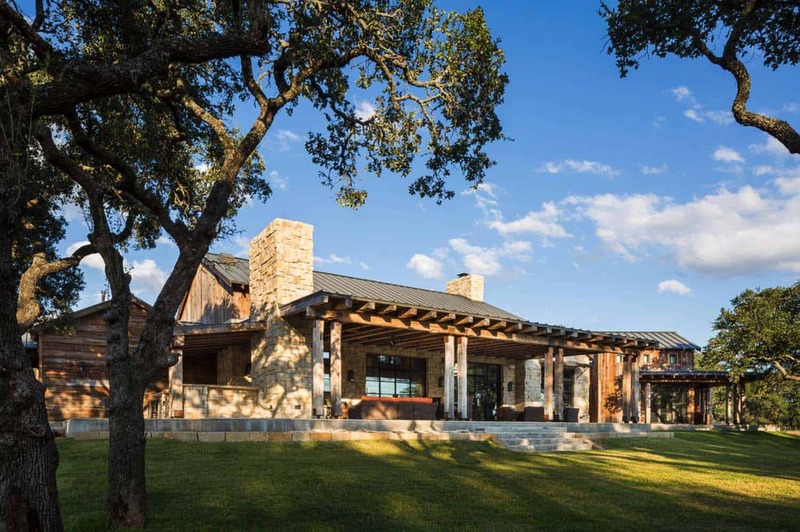 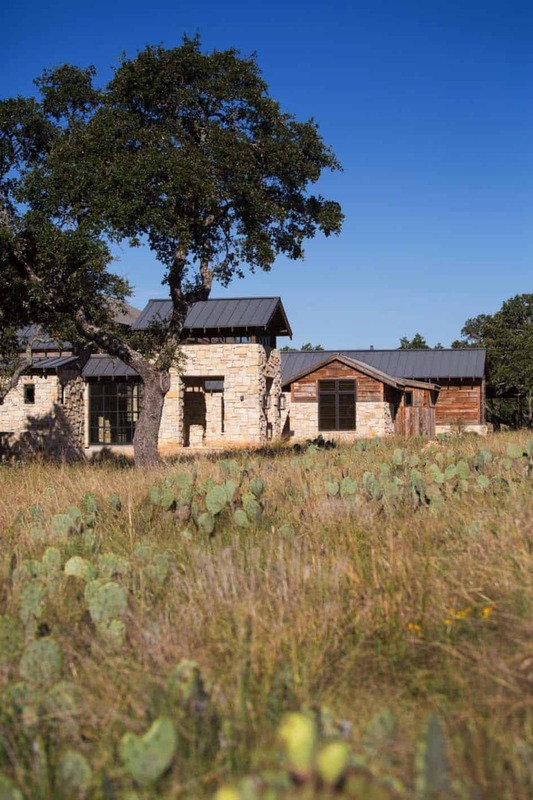 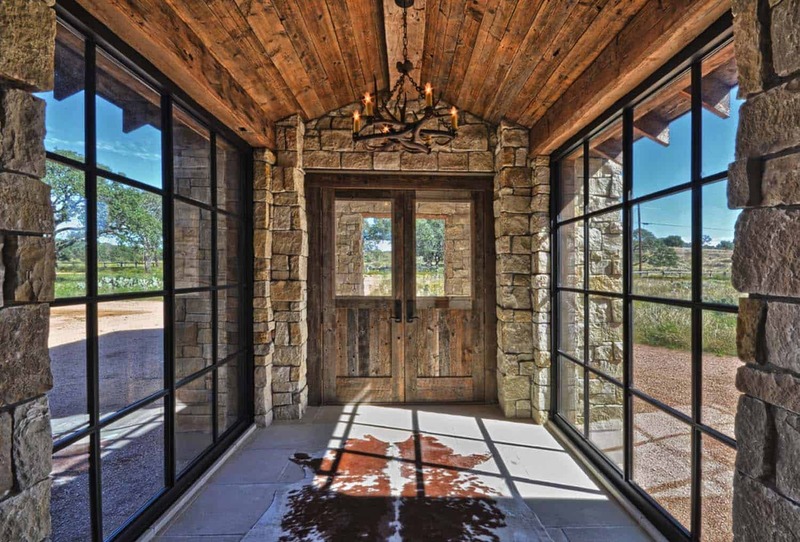 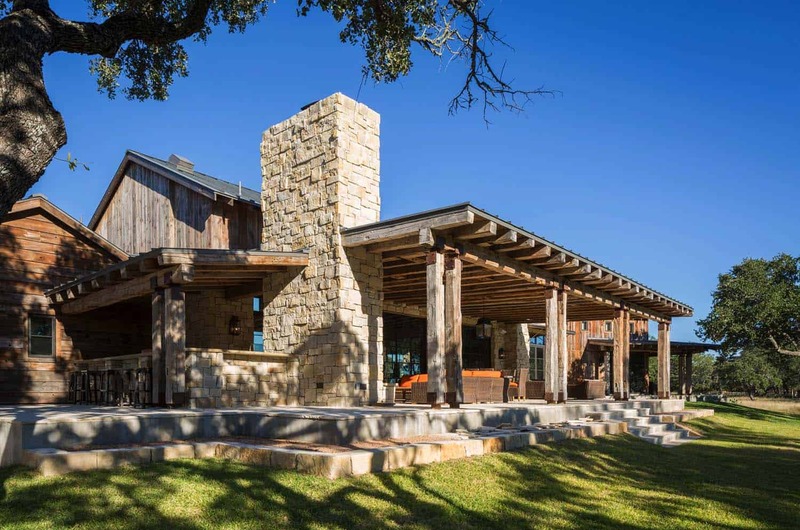 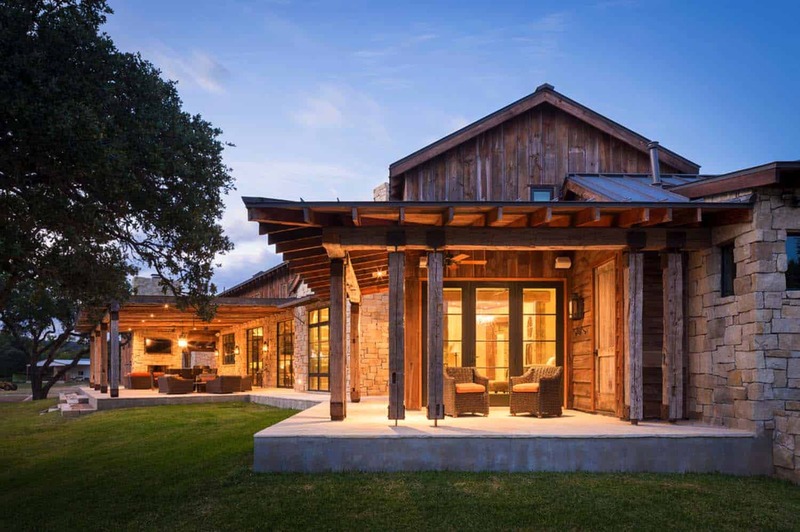 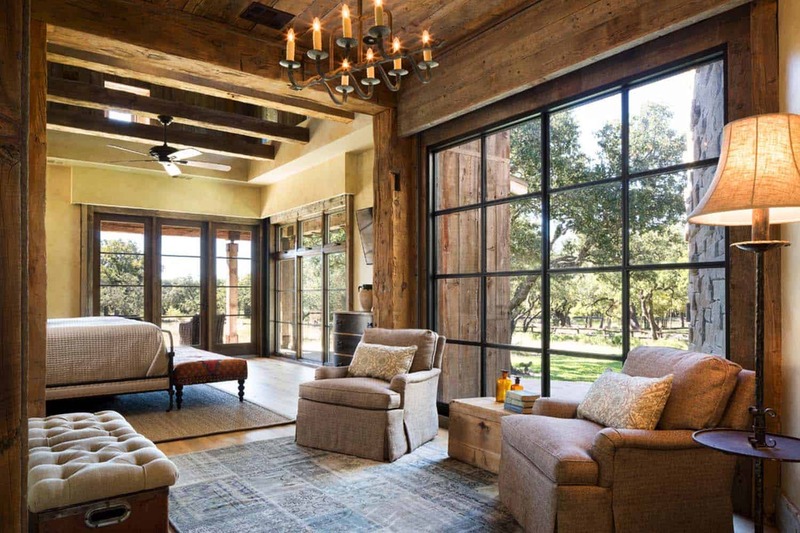 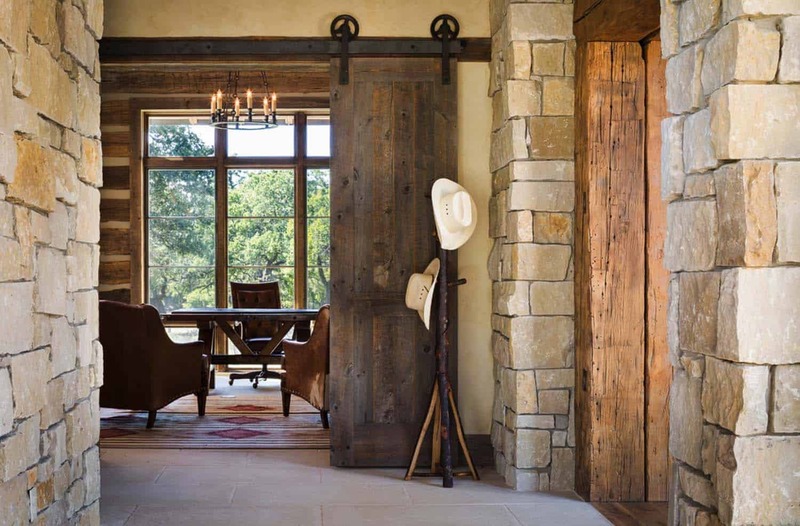 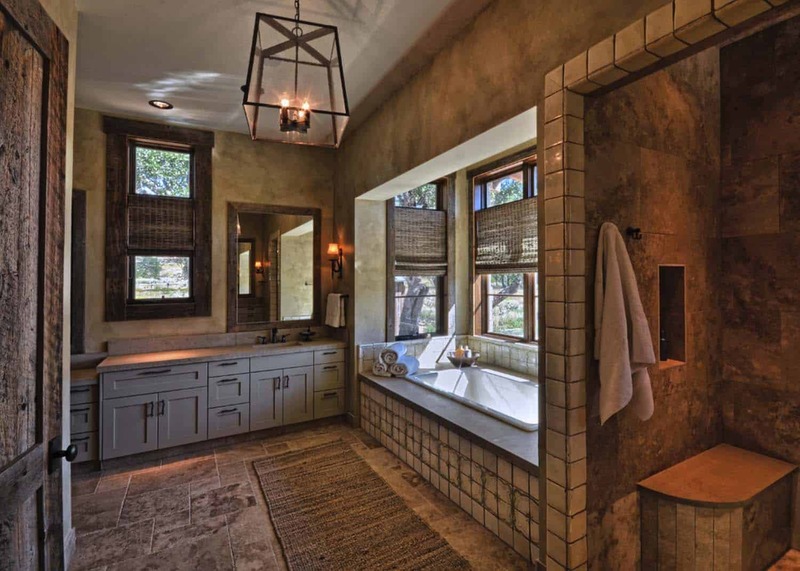 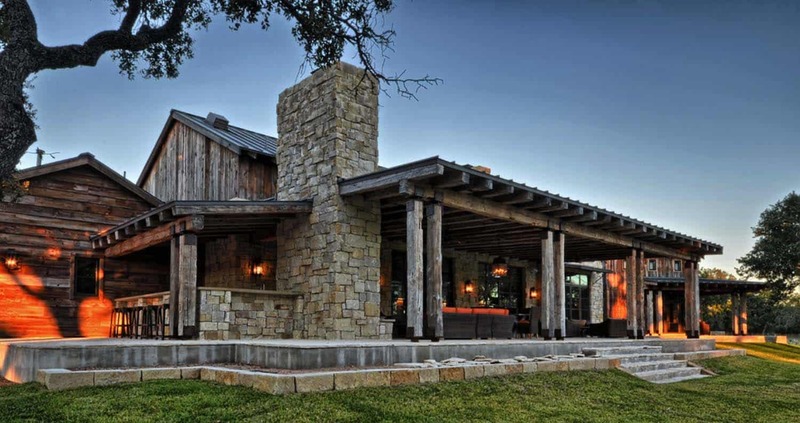 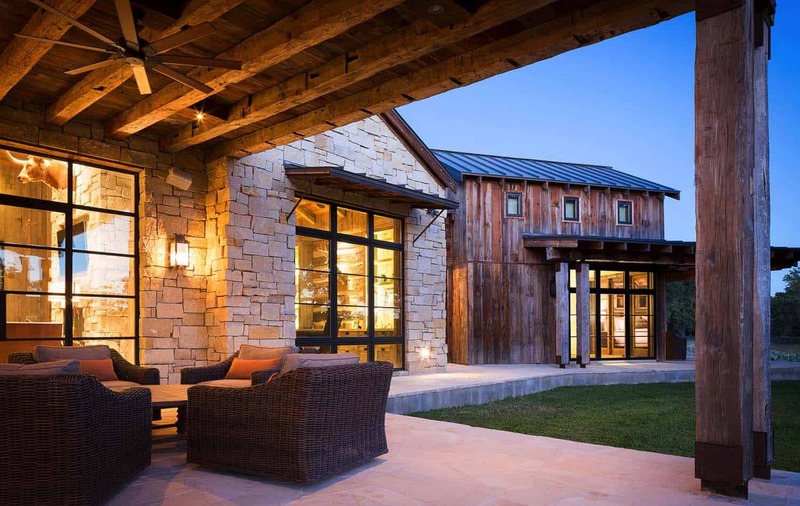 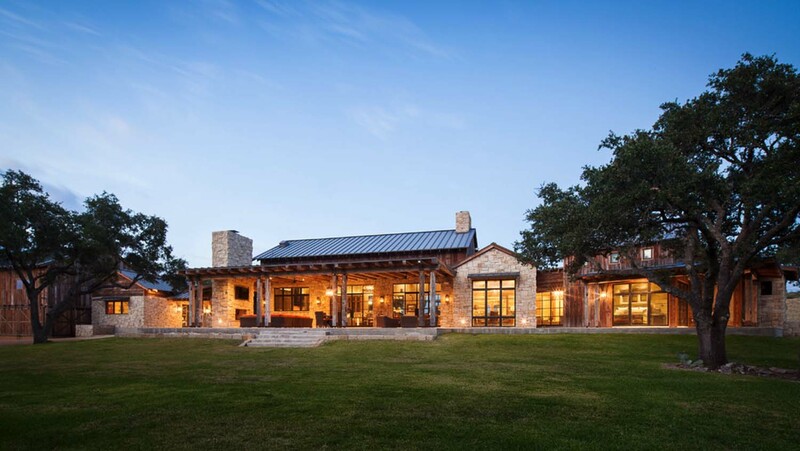 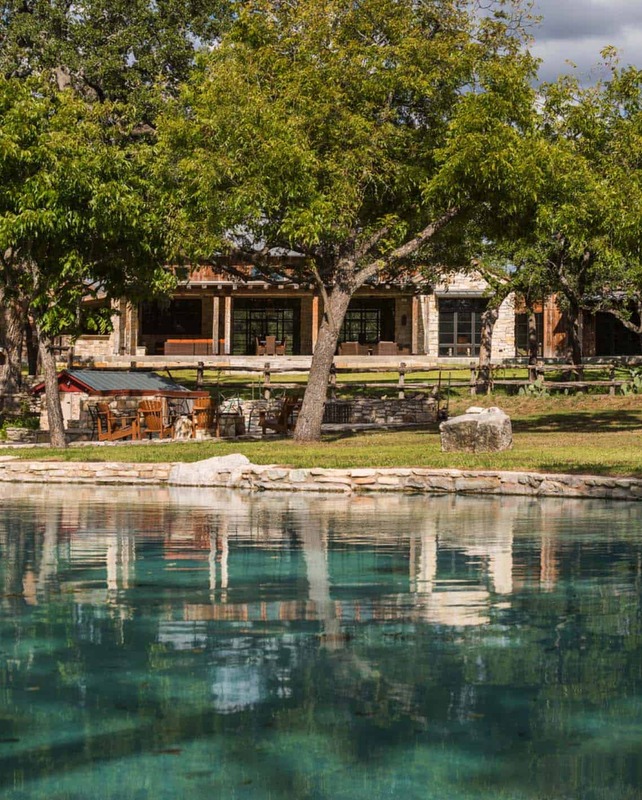 This modern-rustic ranch house was designed as a family retreat by Cornerstone Architects, nestled on a 2,000 acres property near Llano in Texas Hill Country. 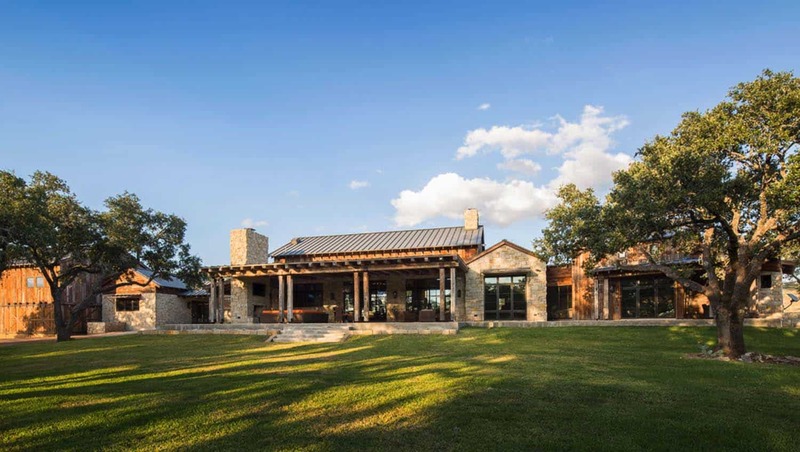 The homeowners used this property as getaway from their main residence in Houston, however they soon outgrew the smaller dwelling original to the site. 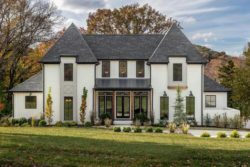 In its place was built a much more spacious home to accommodate their extended family as well friends and overnight guests. 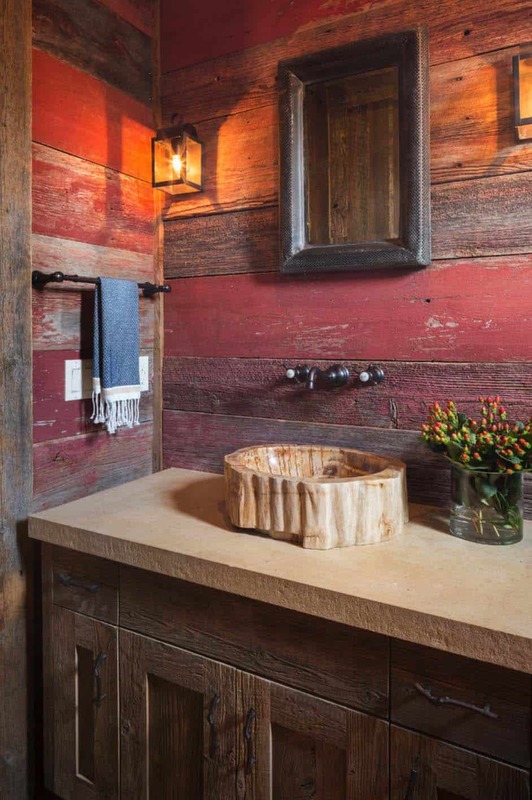 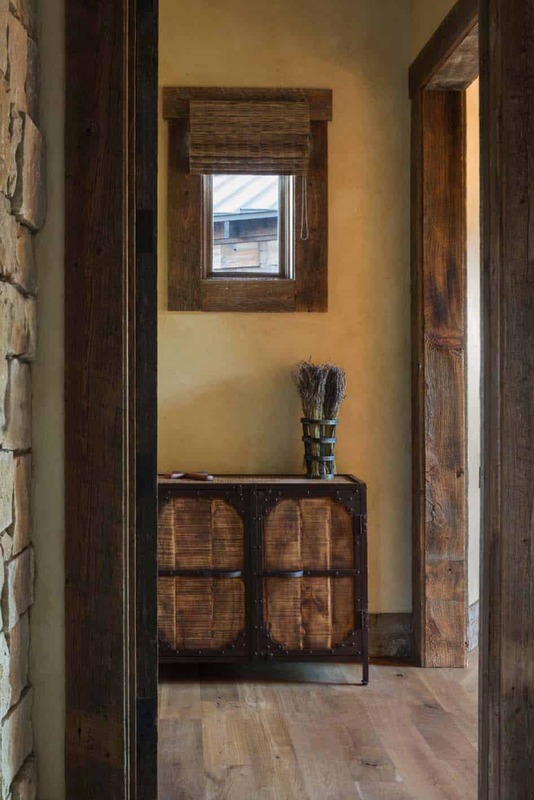 The goal was to create a warm and welcoming home with a rustic, ranch-like aesthetic. 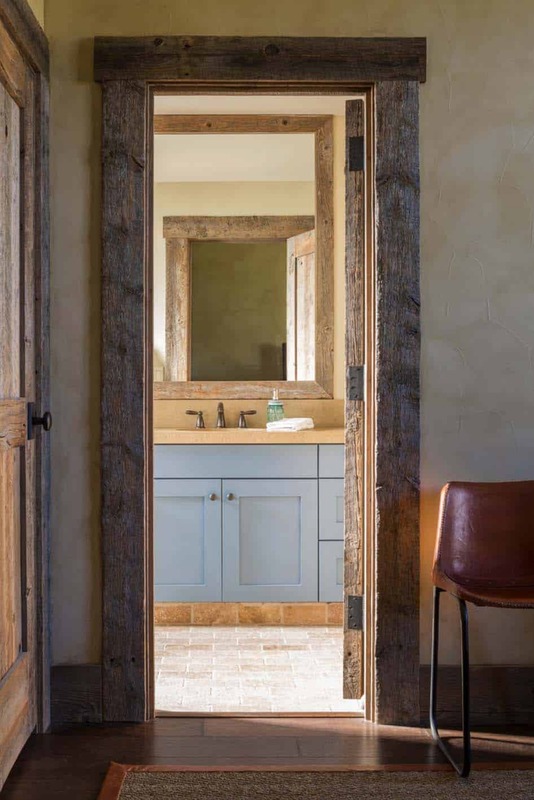 It needed to feel like it had been on the property a long time, all the while fitting into its historic countryside setting. 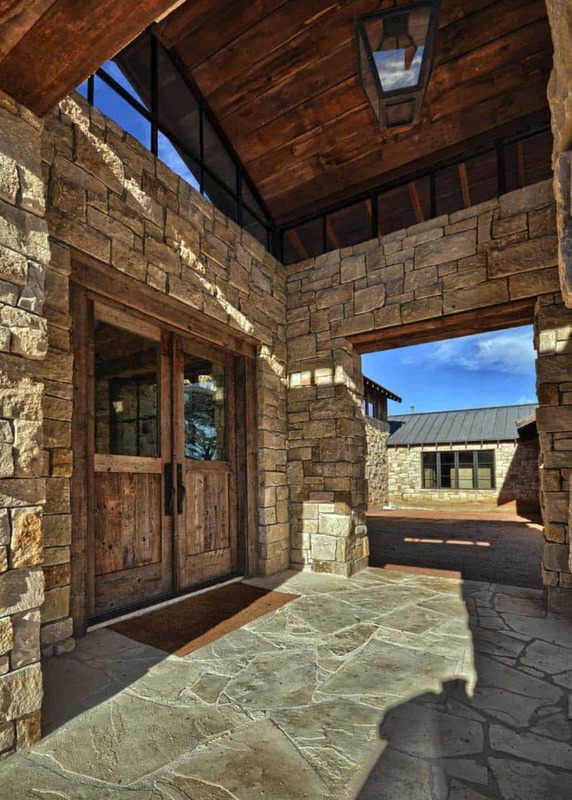 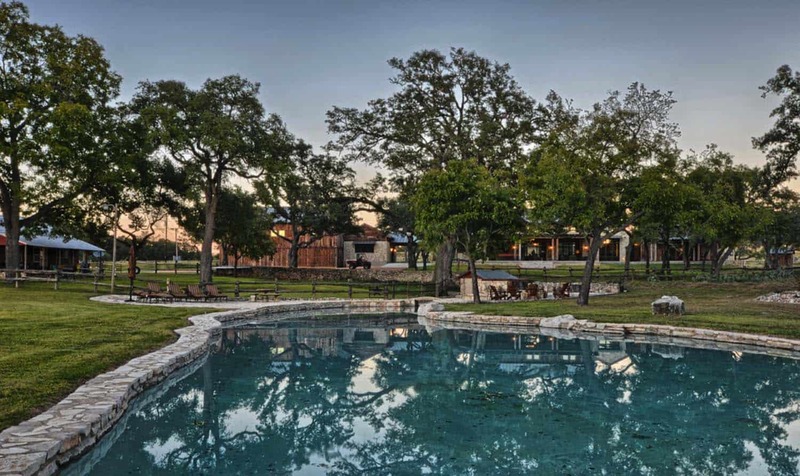 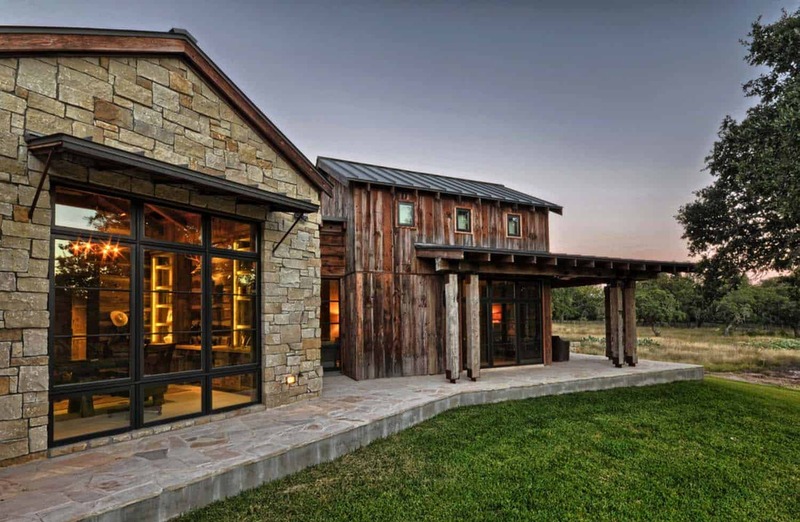 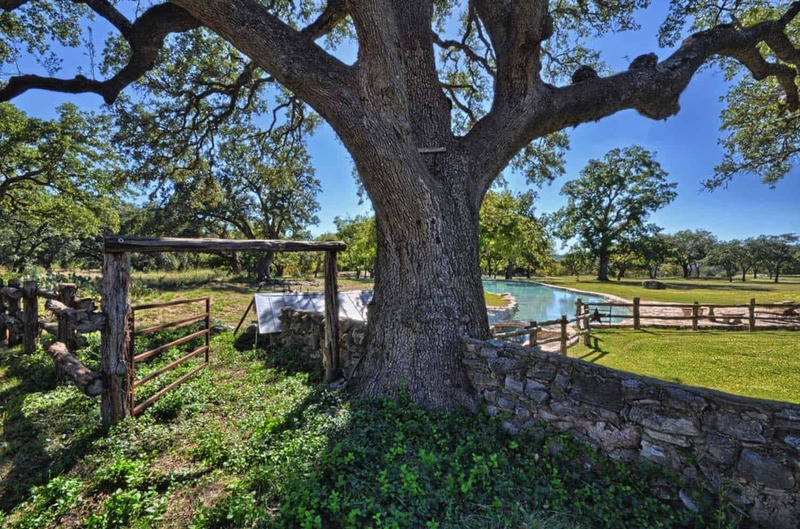 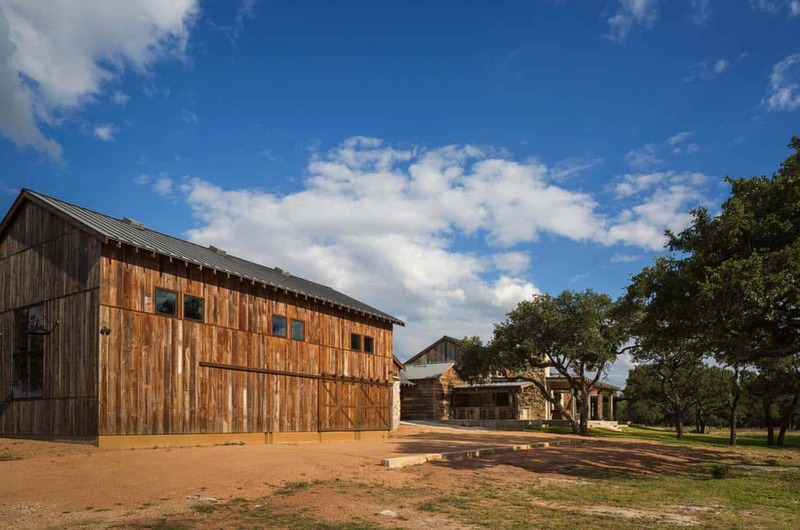 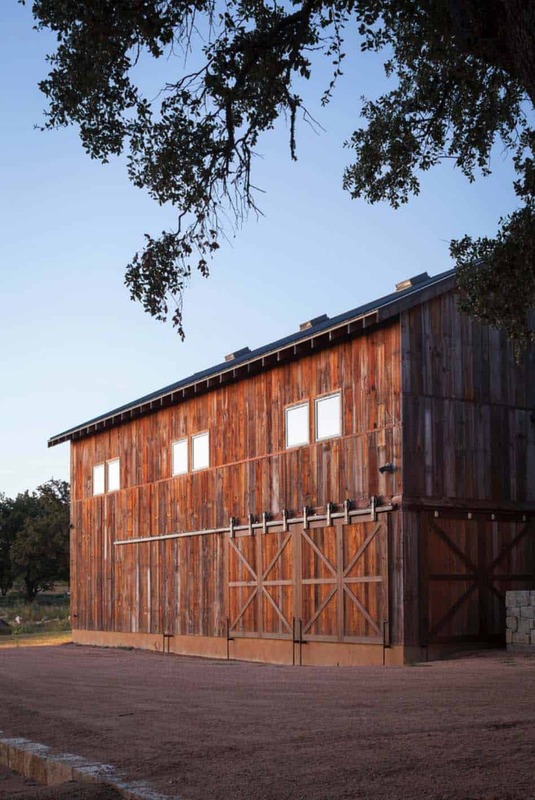 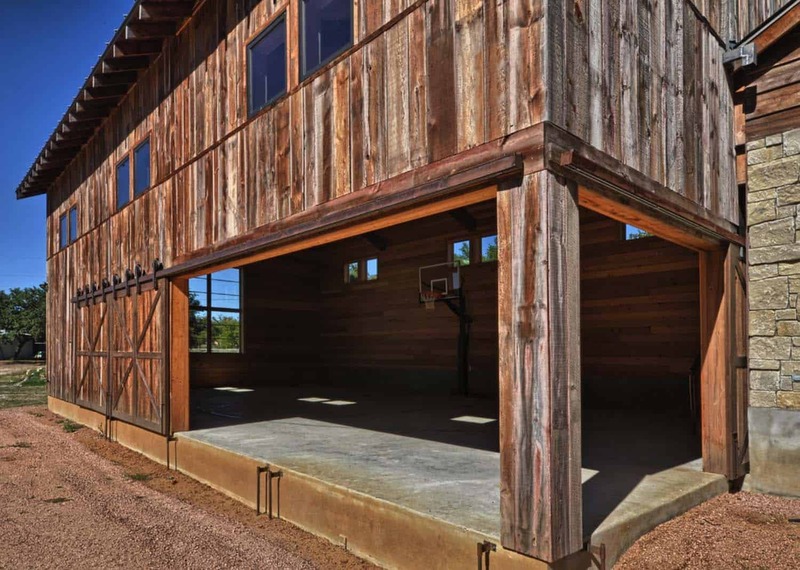 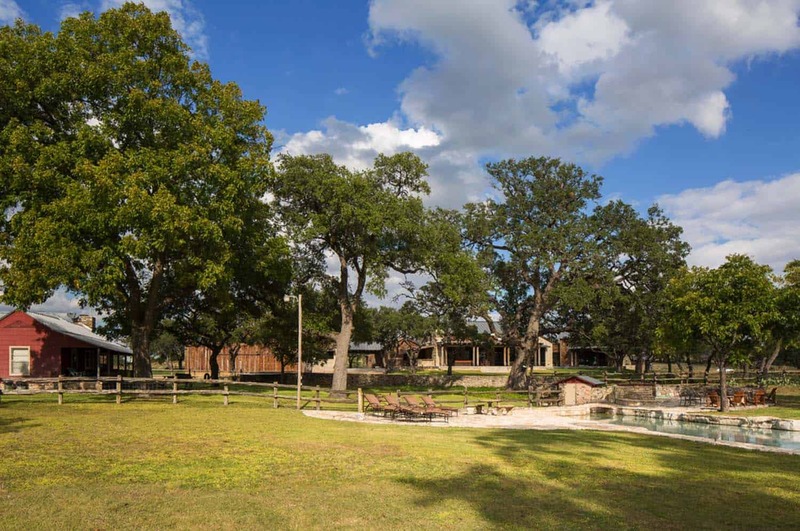 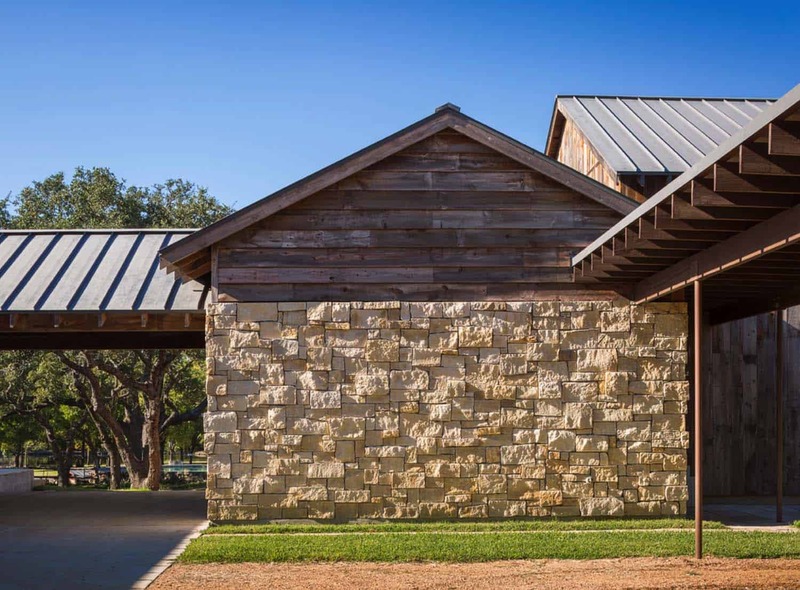 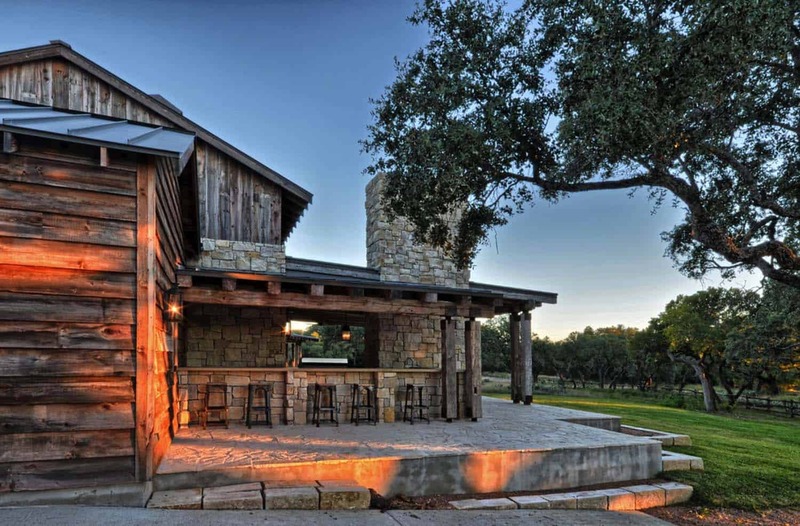 The architects incorporated old Texas style architecture into the design by breaking up the massing into a series of barn-like structures that are interconnected. 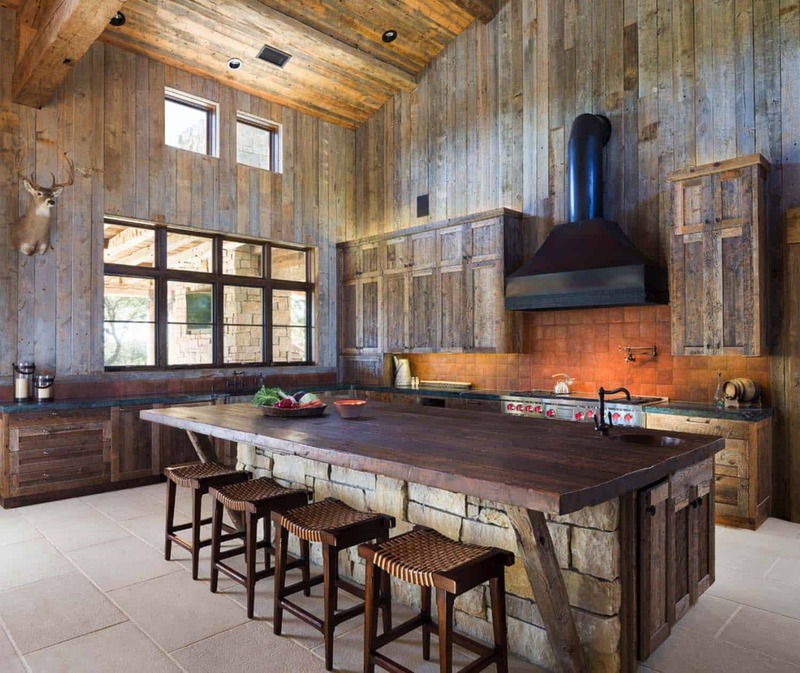 These structures consist of the main living area, which incorporates the living and dining room as well as the kitchen. 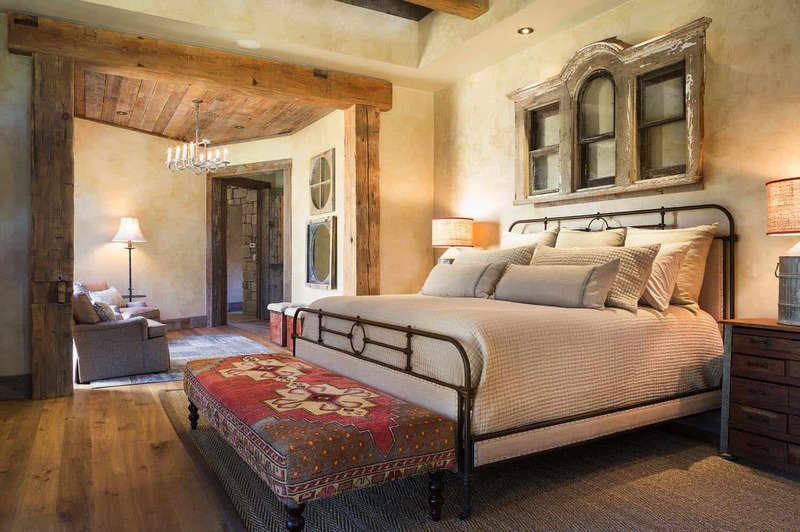 A master bedroom suite has its own private space, while a spacious game room and basketball court are in their own separate area. 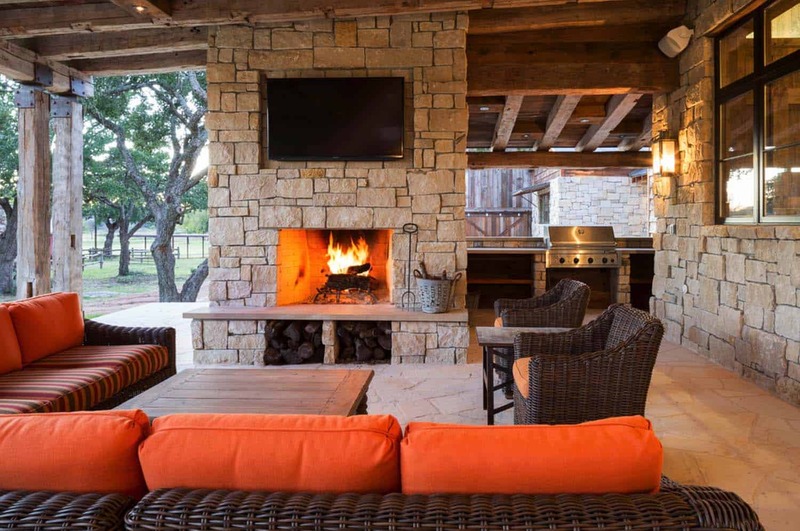 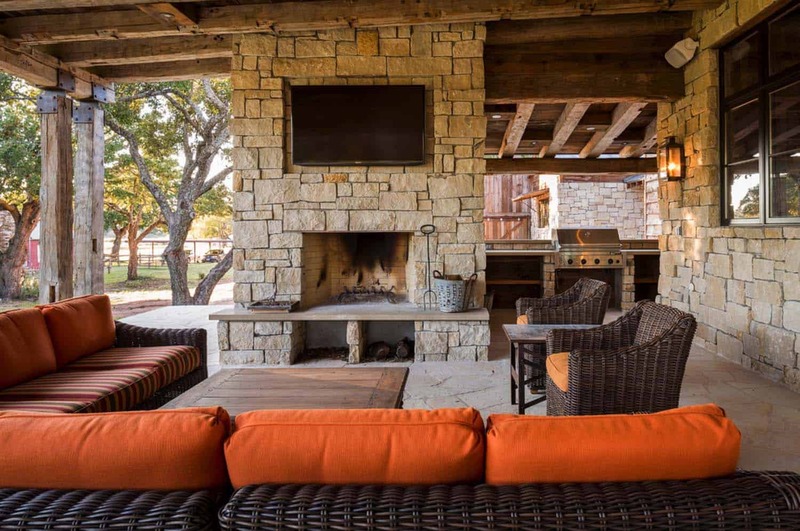 Sumptuous outdoor living areas are protected by the elements by a large overhang; these include two seating areas, an outdoor fireplace, dining area, outdoor kitchen and bar. 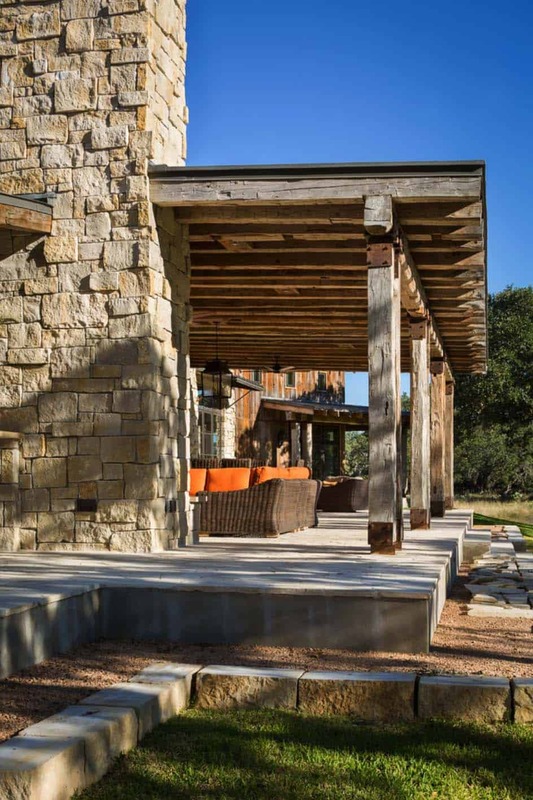 Material elements used in this project includes stacked limestone and reclaimed Douglas fir wood that was hand selected. 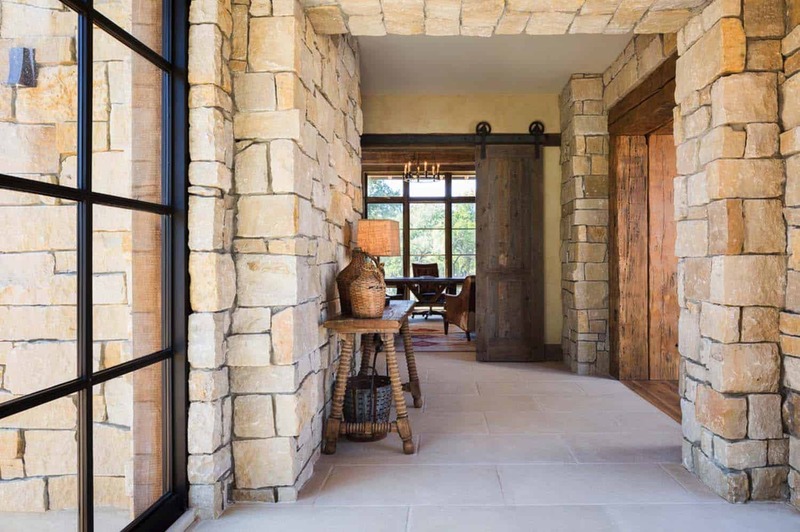 These materials were applied both on the exterior and interiors, helping to blur the lines between indoors and out. 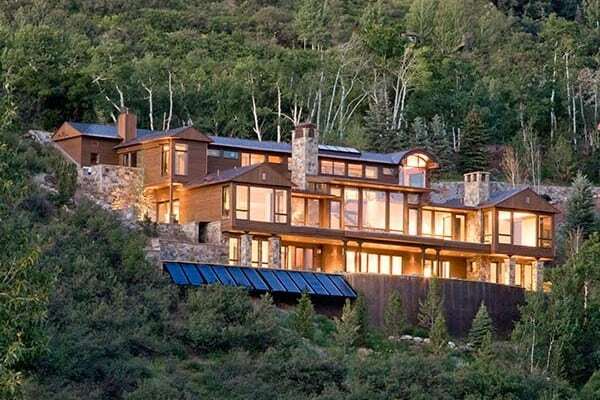 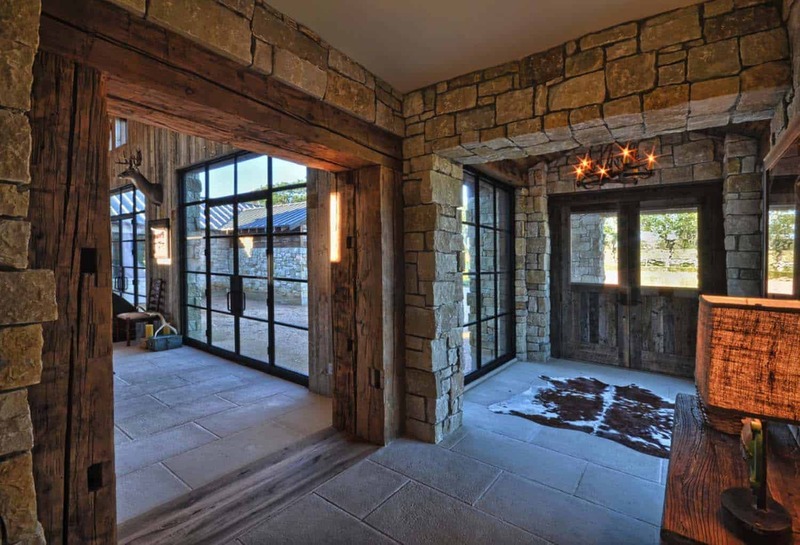 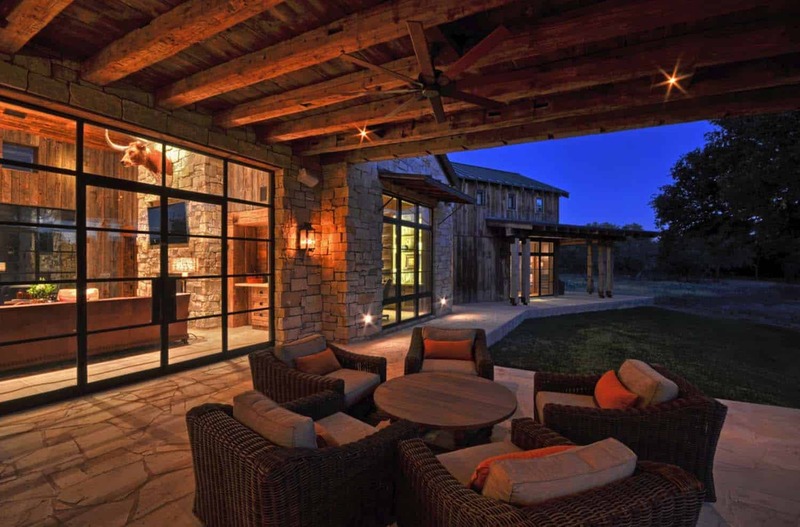 Expansive steel and glass windows helps to connect the homeowners with the surrounding nature on the property as well as bringing in natural light. 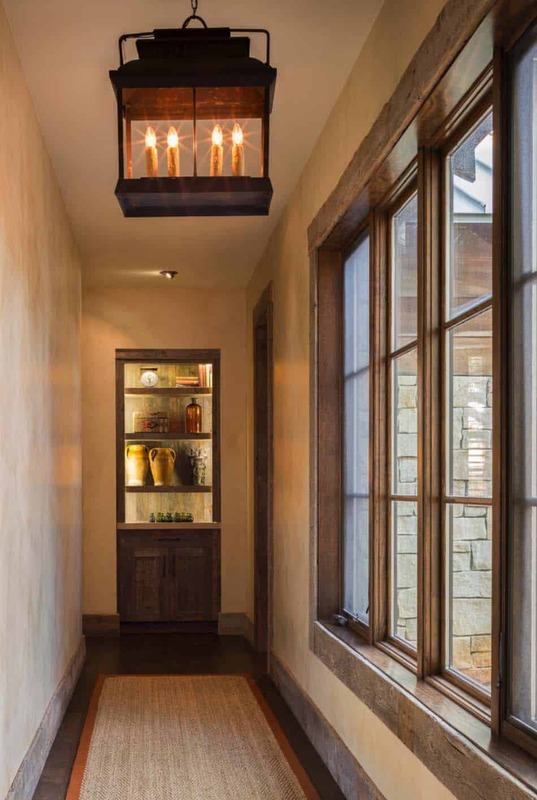 Charlotte Carothers Interiors was responsible for making the home feel comfortable and inviting throughout the interior living spaces. 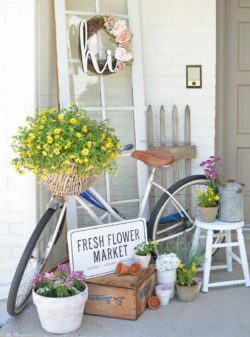 She scoured an antiques fair where she picked up several pieces to incorporate into the design project. 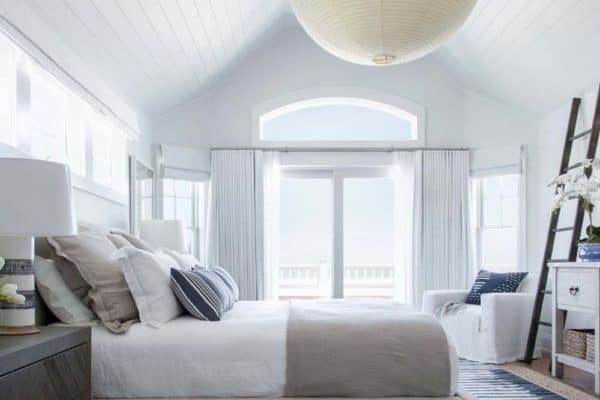 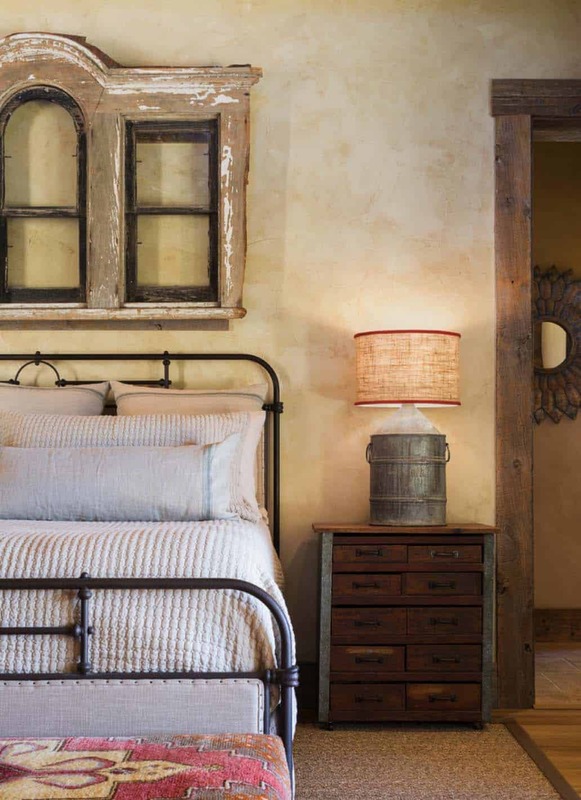 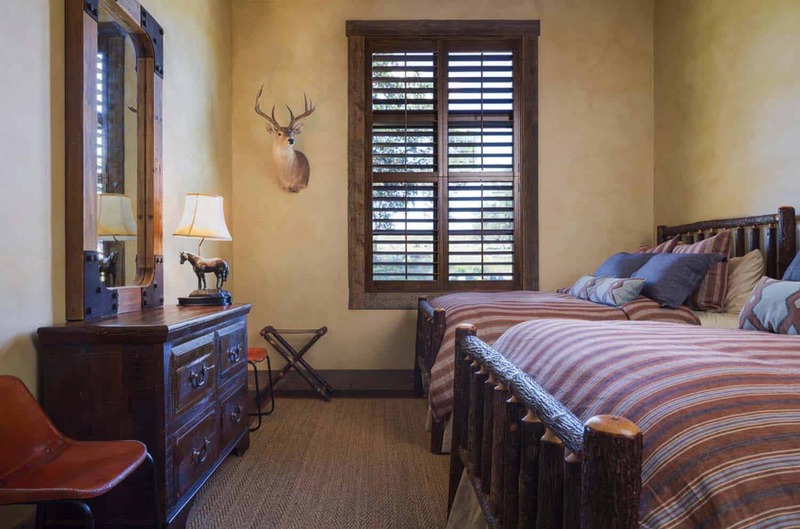 One such piece included an old window casing that was used as a focal point above the bed in the master bedroom. 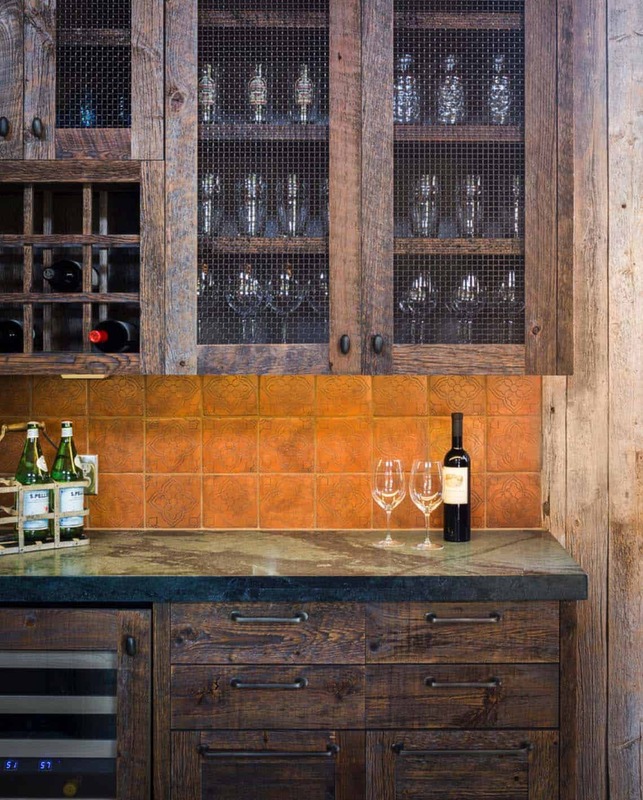 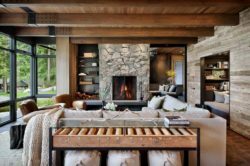 Layers of textured fabrics were used throughout to help soften and balance the wood used in the interior spaces. 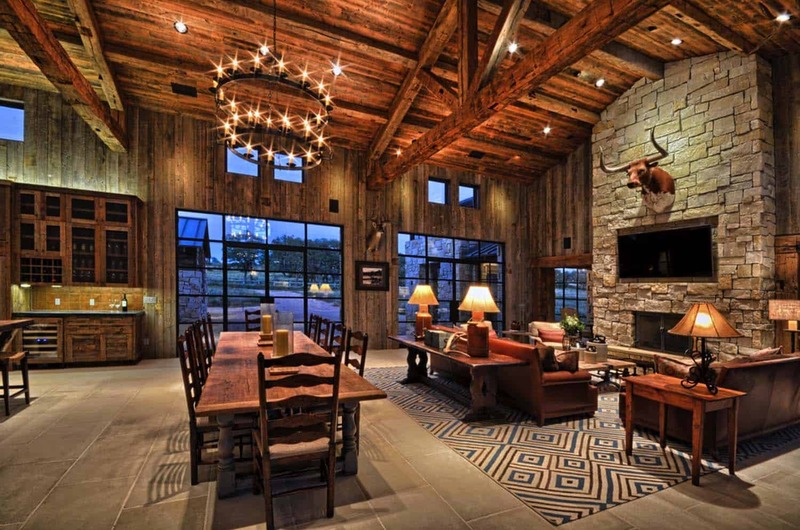 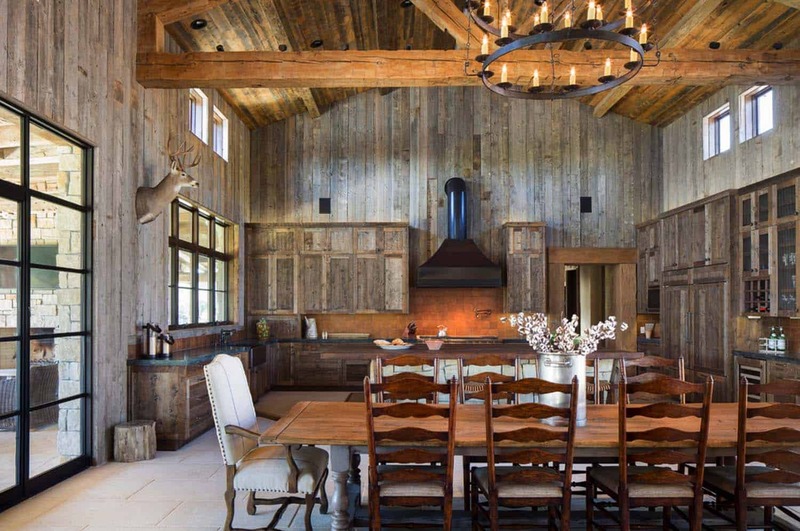 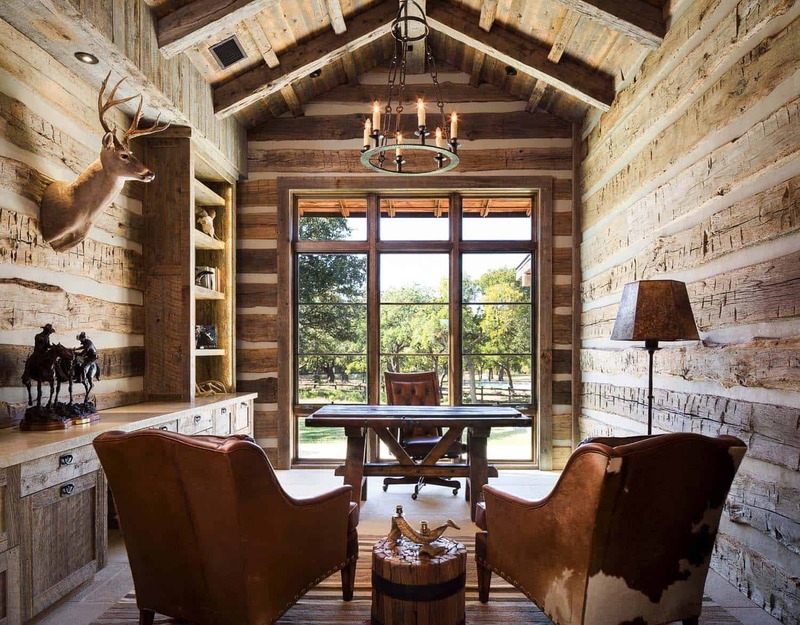 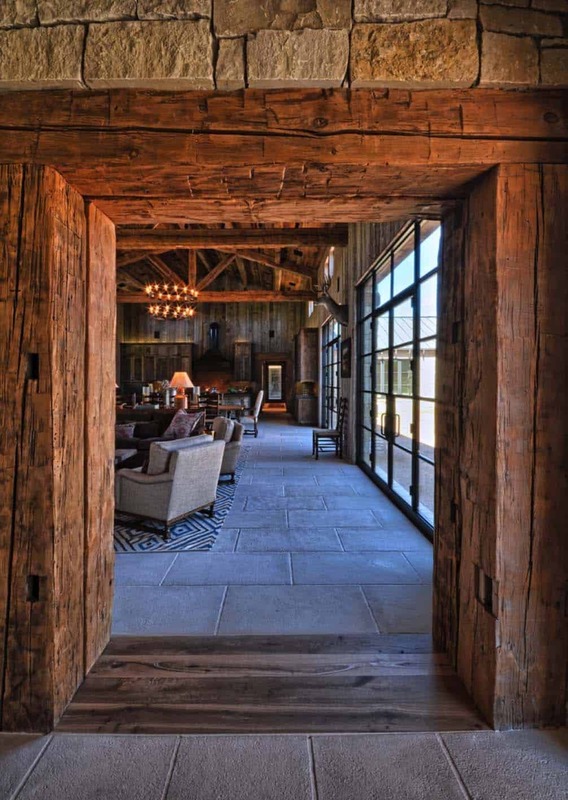 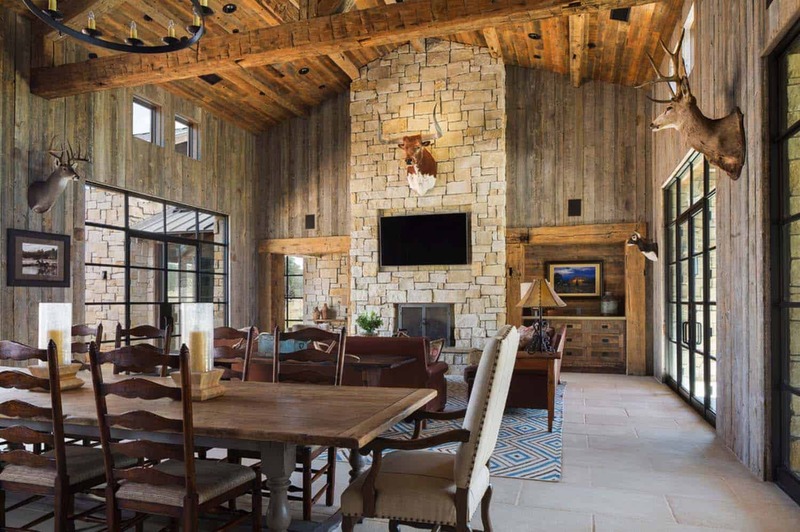 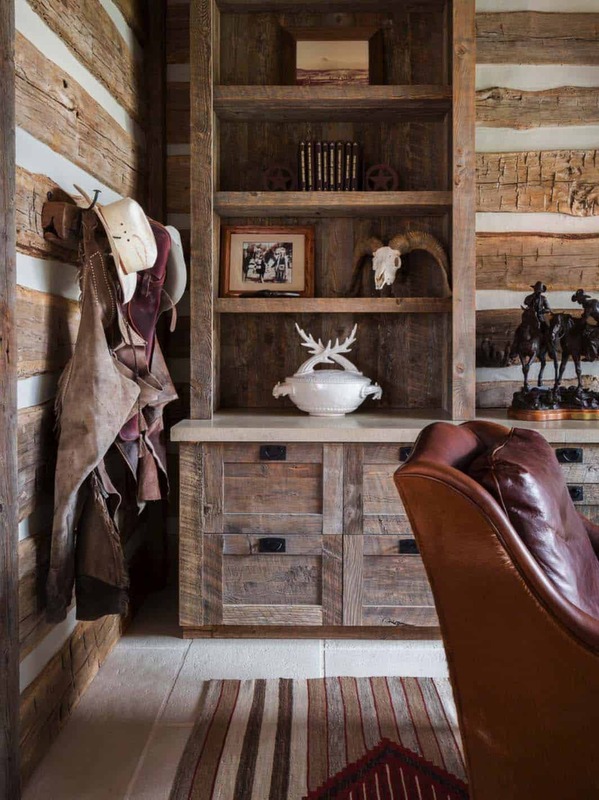 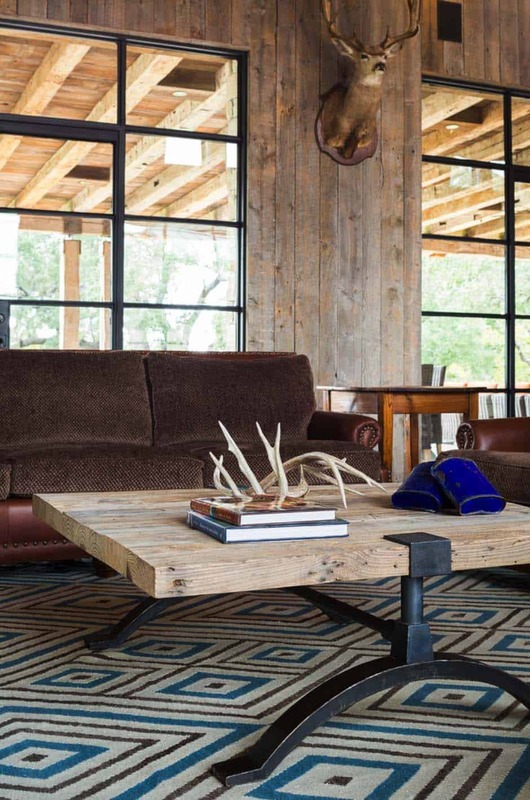 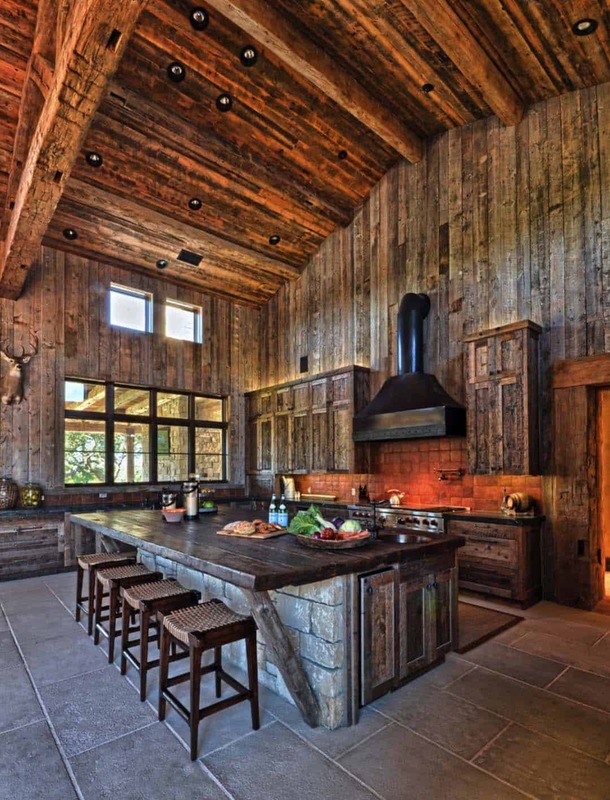 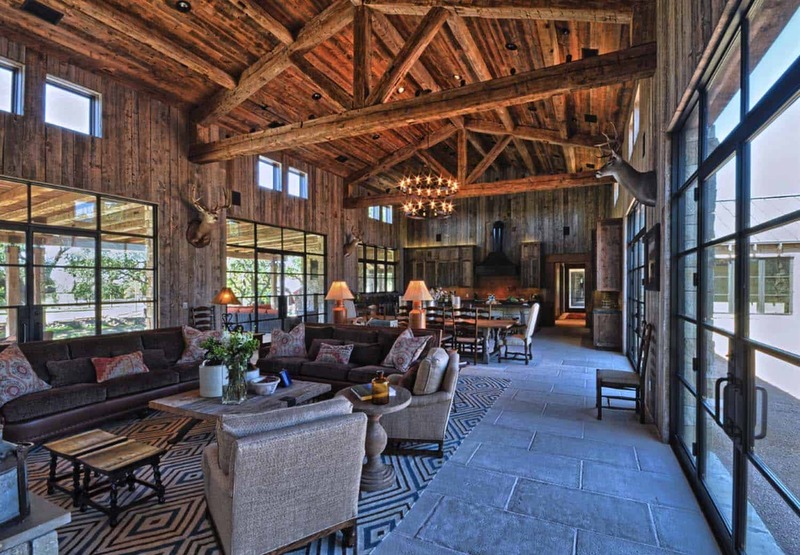 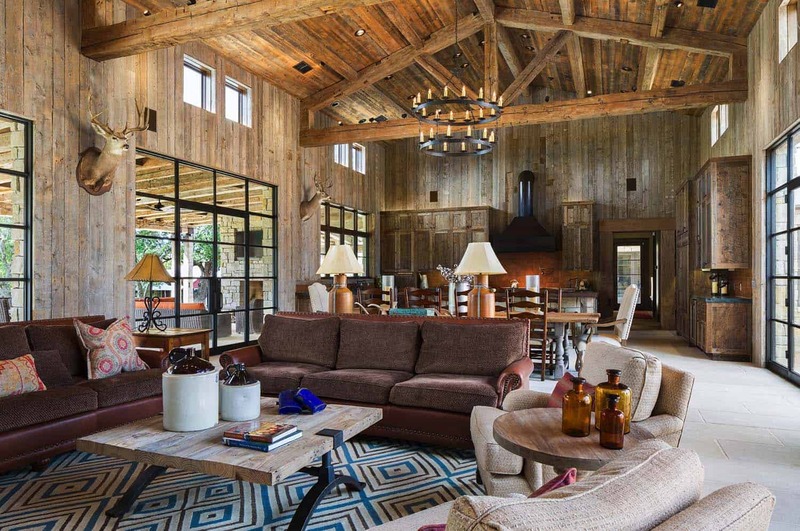 What We Love: This modern-rustic retreat was inspired by Western style ranch houses in Montana yet it does not feel campy or themed. 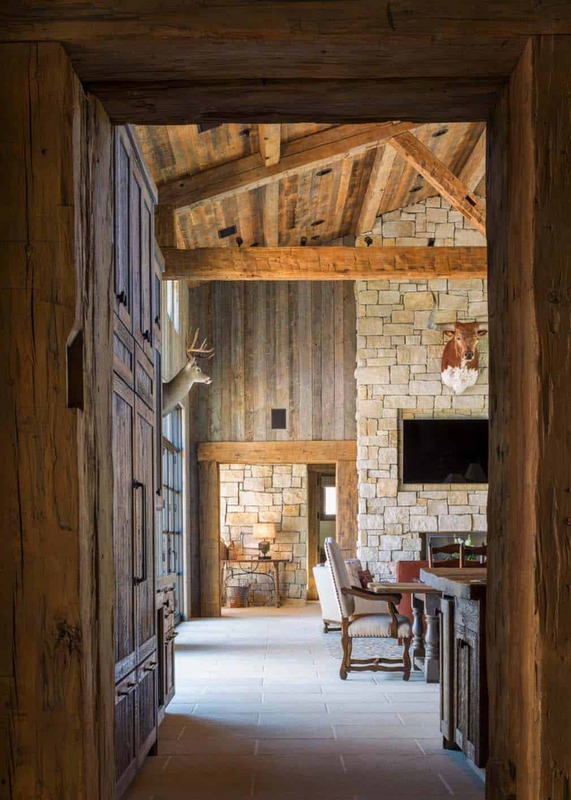 It’s a beautiful family home with a timeless aesthetic that can be enjoyed for generations to come. 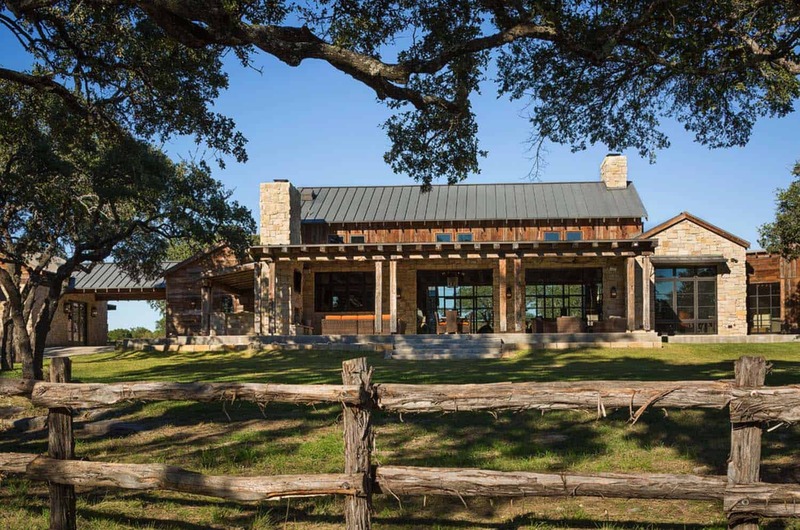 How about you, what do you think of this ranch home, let us know your thoughts in the comments below! 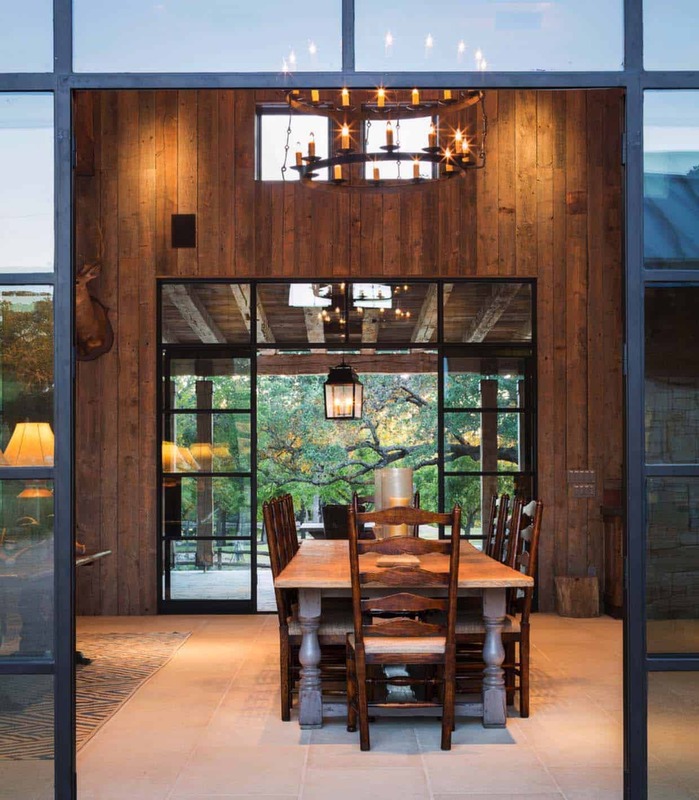 The Belgian dining table seen above was just one of several items that designer Charlotte Carothers sourced from an antiques fair. 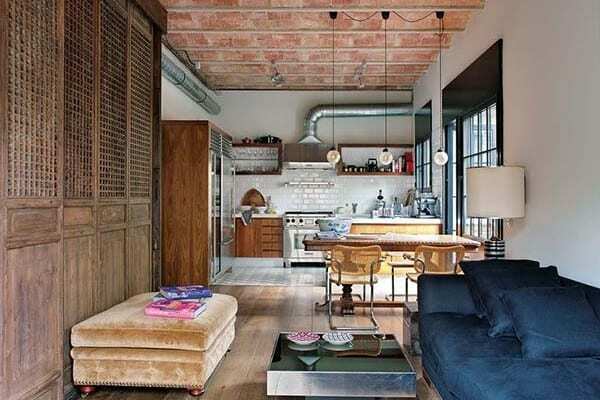 Is it possible to see a floor plan?